This is a charming retreat built on a tiny space of just 400 square feet in size and approximately 14-by-28 foot. 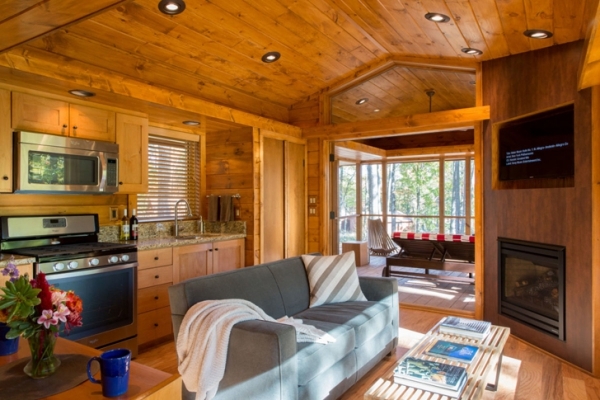 Located in Canoe Bay, the wooden cabin is considered an RV. 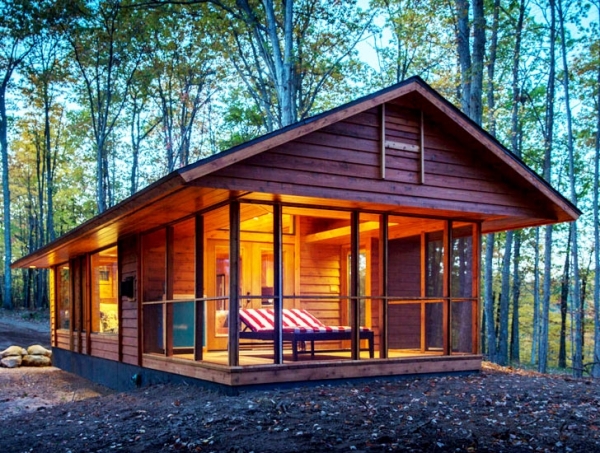 Using recycled materials and sustainably harvested cedar woods, this wooden cabin named Escape, truly lives up to its name. 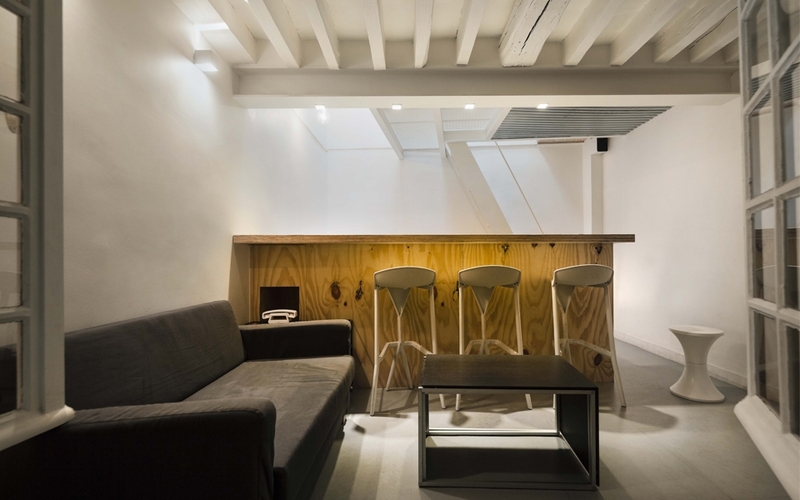 The interior is also made-up in wooden materials from ceiling, walls to floors and built-in cabinets and space savers. 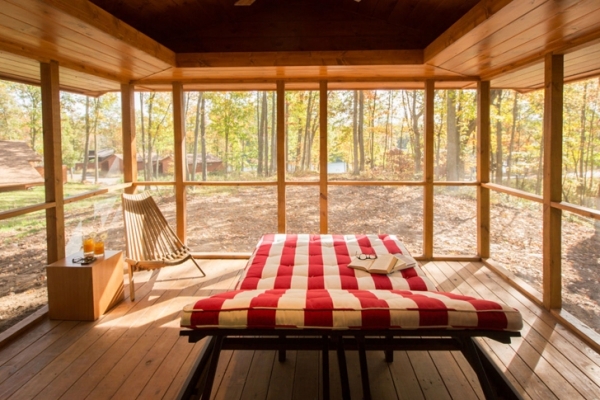 The screened porch is ideal to protect the occupants from insects when hibernating in the woods or by the creeks. This leads entirely into an open living room, kitchen and dining area. Despite its attempt to camp in the wilds, the unusual RV comes equipped with the latest modern gadgets for cooking and other amenities. The home entertainment set makes it more of a home, a tiny one at that. 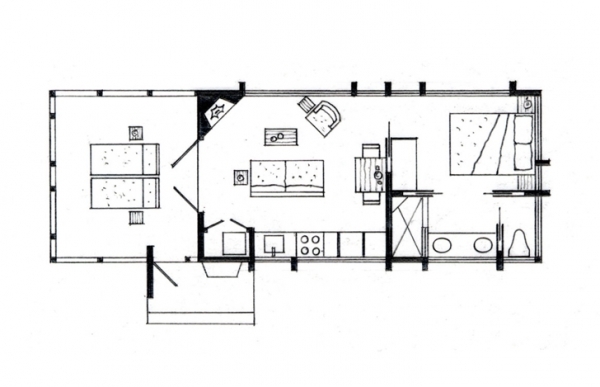 The bedroom is more like a suit, privacy ensured with adequate ventilation and lightings. It comes with a large snugly bed with crisp linens and bathrobe. Inside, a bathroom was also built to complete the much needed amenities of comfortable home-living. 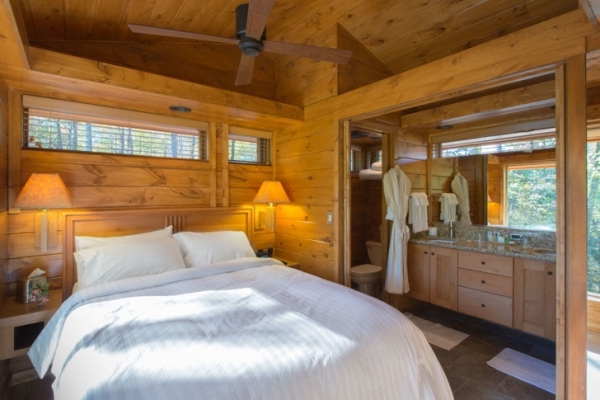 This is what this wooden cabin offers and more. Note that you can move it anywhere you want to. 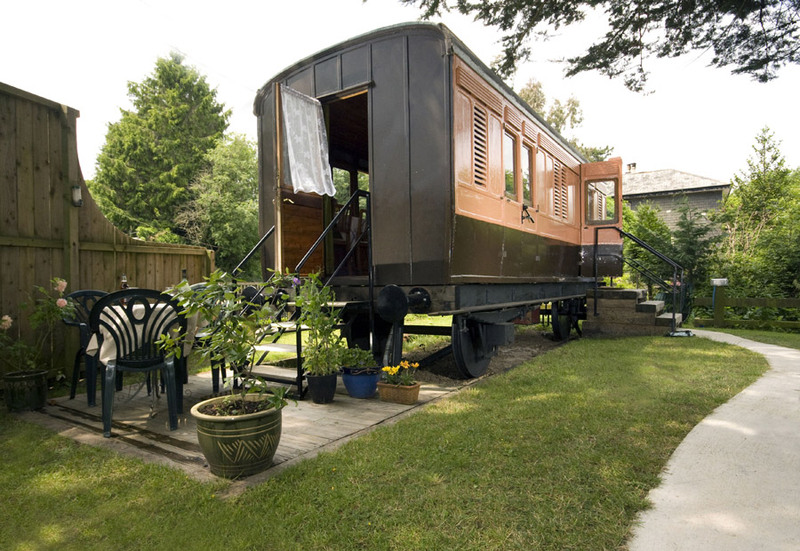 It can be hooked to a trailer and there you go – your next vacation spot.